i saw this polish on a blog a while ago, long before these medium purples were cropping up all over the place in easy to access/find spots like ulta and china glaze and maybelline (etc.) collections. i've wanted this guy since i first saw it, i just thought it was the perfect lovely purple that wasn't too dark or too blue or too periwinkle or too lilac etc. it's very feminine and i think it would be good for spring or fall. (not like i follow weather trends anyway but ya know, it's worth mentioning haha.) i uncovered this guy hiding in a bin on a trip to trade secret, yay! 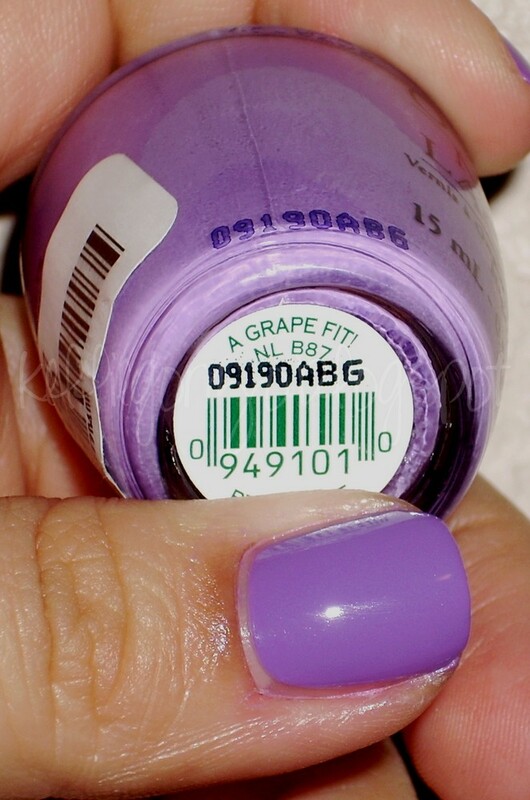 a grape fit was the typical perfection that opi cremes usually are, great wide thick brush that i like. amazing buttery formula, great pigment, great shine. i am in purple nirvana. this is two lovingly applied coats.